Led by board-certified pediatric dentist, Rosalie Nguyen, DMD, the experienced team at Edgewater Pediatric Dentistry specializes in providing A-to-Z oral health care services for infants, children, adolescents, and young patients with special needs. 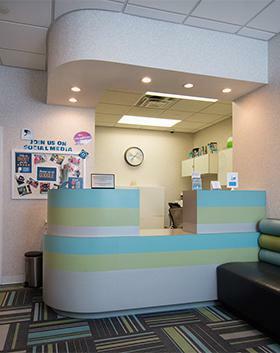 Conveniently located in Edgewater, New Jersey, the practice is dedicated to ensuring every child that walks through the door receives high-quality dental care, respect, and support in a safe, nurturing environment. The office also serves the surrounding communities of Fort Lee, Hoboken and Jersey City, New Jersey. 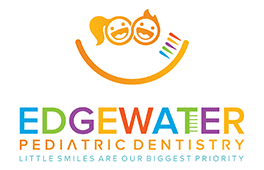 The team at Edgewater Pediatric Dentistry, which includes pediatric specialist Rachel Edelman, DMD, is made up of motivated, talented, and dedicated individuals who strive to deliver the kind of gentle, personalized care that can make even the most anxious child feel more comfortable in the dentist chair. In addition to providing routine cleanings and exams, sealants, and cavity repair, the team at Edgewater Pediatric Dentistry also offers painless X-rays and a complete range of sedation options to help fearful or anxious patients feel more relaxed during treatment. Because gentle, compassionate care is a top priority at Edgewater Pediatric Dentistry, Dr. Nguyen and her team always take time to understand your child’s history, address any concerns or fears, and clarify all treatment goals before developing a customized plan designed to achieve them. Edgewater Pediatric Dentistry has a friendly staff, state-of-the-art equipment, flexible hours, and a comfortable and welcoming environment. Call the office today or use the convenient online booking tool to schedule a visit any time. "Dr. Rose is very patient with my very anxious daughter. She's the only dentist she'll trust. I am willing to travel a longer distance so that my daughter is at ease.."
"My daughter loves this practice, from the doctor to staff, the sunglasses, the movies, the treasure box - she can't wait to go to her semi annual checkup!" "They make the dental visit fun for my kids and my kids actually look forward to their check ups. Thank you Dr. Rose and all your staff!" "We have been bringing our children since they were 3 - we LOVE the staff! They are amazing - so patient and caring, always taking time out to explain everything to us." "I highly recommend them. I bring all 4 of my children here and they all absolutely love it. They make the kids feel at home. Thank you guys for being amazing!" "They are the best! Amazing, highly recommend! Fast, engaging with kids and efficient. My kids love going there!" "My daughter and I were very happy with her first visit. Everybody was very friendly. The doctor did great job."